The future may not be too bright in Star City, but it's a hell of a lot more interesting than what's going down in the present. Ever since Oliver got released from Slabside, Arrow hasn't been able to find its footing in the present timeline. While there have been some exciting prospects drizzled throughout the second half of Arrow Season 7, many plotlines have fell flat. That was never more evident until Arrow Season 7 Episode 15. Before we unpack that hot mess of a plotline, let's discuss the good things that came out of "Training Day." The most obvious thing being the growing relationship between William and Mia. It took me a while to get attached to the future plotline, but once the character of Blackstar/Mia got introduced, I became much more invested. A big reason for that was because of the instant chemistry Mia and William shared. That chemistry was explored even further on "Training Day," and it was the ultimate highlight of the episode. Despite both kids being very different they had similar upbringings. Oliver and Felicity's line of work was too dangerous for them to be a part of, and they both suffered the consequences because of it. 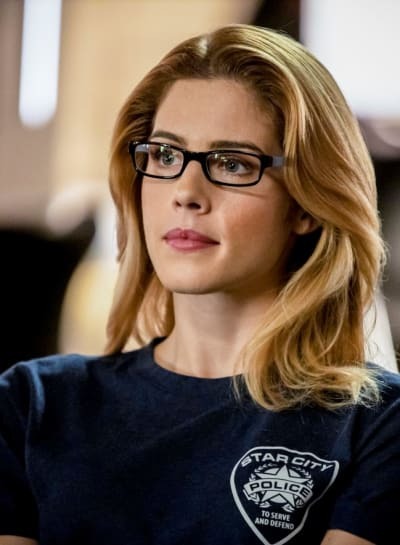 Despite William not being Felicity's biological child, he's almost become the equivalent male version of her -- a tech genius looking for answers. As for Mia, it seems as though she never got to know her father, but just like William pointed out, she's a lot more like him than she knows. 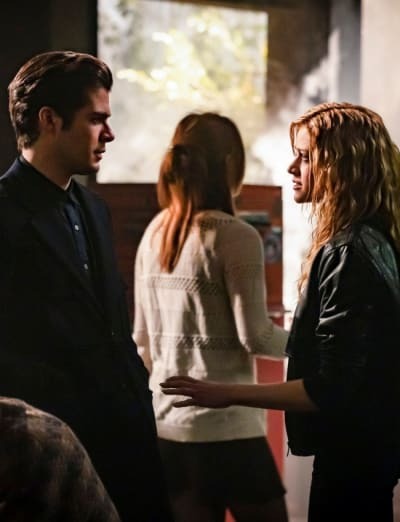 Even though the two just found out they are brother and sister, Mia and William seemed to have already formed a strong connection. Mia doesn't seem like the type of woman to open up to anyone, but with William she let her guard down at times. Sometimes the most simple of actions, like holding someone's hand, shows just how much you care, and it was evident that Mia and William have already grown so fond of each other so quickly. And considering their quest to find Felicity is far from over, this is just the start of many sweet moments for this brother and sister. 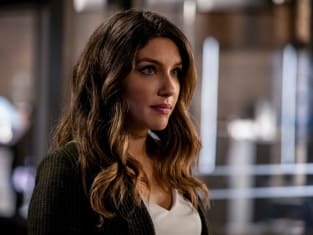 Also, with the announcement that Arrow will be entering its final season in the fall, and the many hints that Mia's dropped that she doesn't know much about her dad, it's safe to assume that Oliver isn't going to make it out of Arrow Season 8 alive, right? 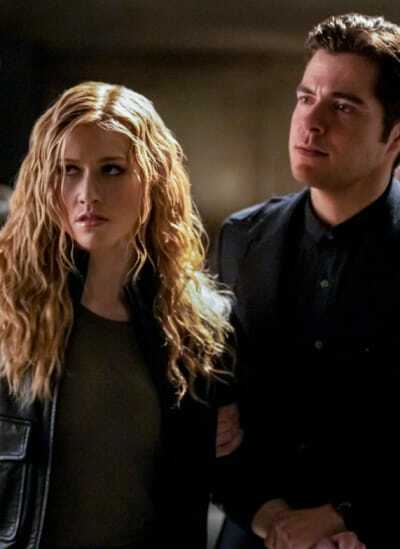 Between what Mia, William, and Dinah have said in the future timeline and comic-book spoilers for the final Arrowverse crossover: Crisis on Infinite Earths, Oliver Queen's chances of getting a happy ending aren't looking too hot at the moment. That's why Arrow Fanatics have to start cherishing these small intimate moments Oliver shares with Felicity, Diggle and the rest of the Team Arrow gang because let's face it whether he survives the final season or not, the book of Oliver Queen is coming to a close, much sooner than any of us could've imagined. Olicity shared some adorable moments throughout the otherwise snoozefest of an episode. Coming off of Felicity telling Oliver she was pregnant, I was hoping for more cutesy moments, but I guess I'll take what I can get. Honestly, I would've preferred if the entire SCPD storyline was replaced with Felicity sending Oliver all over Star City to feed her cravings. Talk about a real hero! Alas, that was not the case. Instead, we were stuck with a story that was as mundane as a story could get. Watching Team Arrow adjust to their new roles as members of the SCPD could've been fun and humorous, and it was in the first three minutes. However, it quickly became dull once Dinah and Mayor Pollard started rambling on about delivering justice in new ways ... blah, blah, blah. I swear Dinah repeats the same speech over and over again in every episode. After being on this show for nearly three seasons, you would think I would've become invested in her, but I haven't. She continues to become duller on the regular, and this whole "having to decide about being the Captain or the Canary" is a dilemma I couldn't care less about. 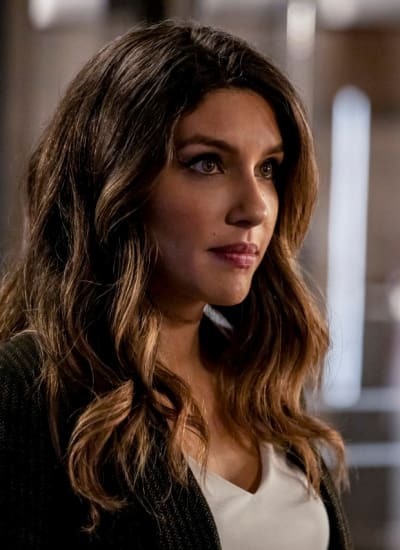 Something desperately needs to be changed about Dinah because when she's a significant focus like she was on "Training Day," the quality of Arrow withers, and it's a damn shame because Arrow Season 7 has been a solid season overall. While Arrow still hasn't figured out the right way to use Dinah it finally figured out the proper way to use Diggle again. 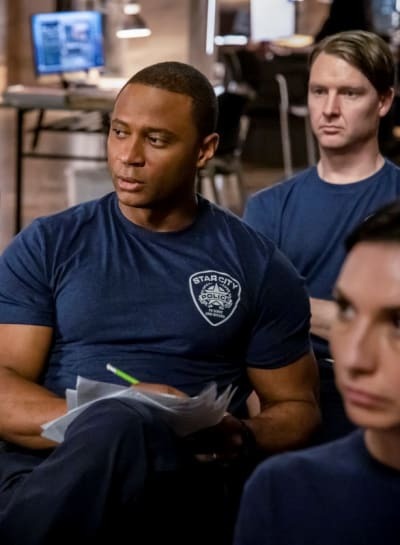 Diggle is and always should be the father figure of the group. The ARGUS nonsense took him away from Team Arrow and had him focusing on stuff no one cared to see. Seriously, that Ghost Initiative thing ended almost as soon as it began. Fortunately, Diggle seems to be done with ARGUS, and will once again be the father figure for Team Arrow to admire. 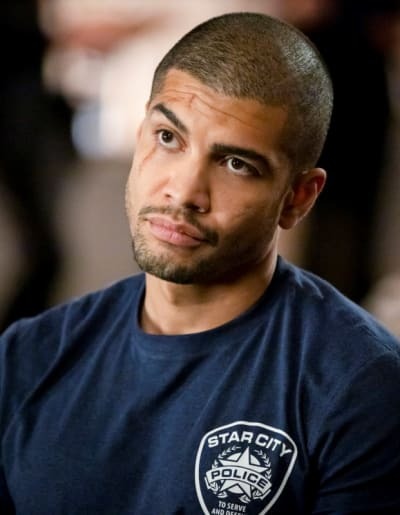 He played that role phenomenally on "Training Day" as he guided Oliver and Felicity to the right path, a path that was better for their unborn. Diggle has a way with words, and anytime he offers a piece of advice, I listen because damn the man is wise! Oliver: Our partnership with the force is not working. Diggle: Then you have to find a way to make it work. Comprise, do whatever you have to do because if you want a new future for this baby of yours it won't come by doing the same thing we used to do. We have to... we have to be something else. Something better. 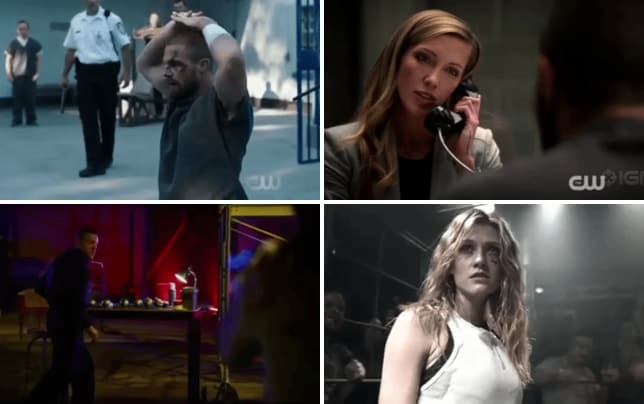 The SCPD may have kept Team Arrow busy, but Laurel was handling some business that I imagine is going to have a massive effect on Oliver & Co. moving forward. Laurel got a call from Ben Turner (Remember Turner? He was nice. ), and after some haggling, she got some information out of him that might cause her more grief than anything else. It turns out Emiko killed Diaz! Emiko. You remember her right? To be honest, I forget that she exists until she pops up, time and again. I wonder how Oliver and his team will feel when they find out their new vigilante friend murdered Diaz in cold blood. I'm guessing family dinners are going to be a little more awkward. This revelation couldn't have come at a better time for Emiko because she was quickly becoming as bland as Dinah. This twist and the fact that Emiko will be sparring with the almighty Laurel will give her a bit more of an edge and mystique. Qualities that she's been lacking ever since it got revealed she was Green Arrow 2.0. However, we won't get to learn more about Emiko's motives anytime soon as Arrow is finally giving the future it's due. That's right, we're going to 2040 on Arrow Season 7 Episode 16, and we're going to stay there for a full episode. I can't wait to see the amount of punching Mia gets to do! What did you think of "Training Day"? 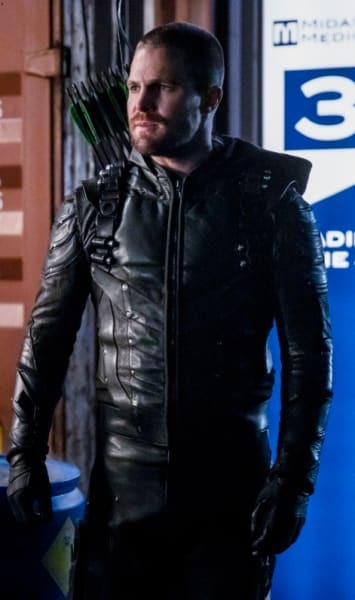 Do you think Oliver's inevitable fate has been sealed in the upcoming final season? Do you think Arrow can save Dinah's character from the deep abyss of boredom or do you think she's a lost cause? Is this change in character for Emiko a good thing or bad thing? What do you hope will happen in the 2040 episode? Let us know in the comments below and if you need to catch, make sure to watch Arrow online, right here on TV Fanatic!